Professionally color grade diamonds in seconds with GEMORO’S new generation CZ Master Set Pro 2! Each stone in the precision CZ Master Set Pro 2 is treated with GemOro’s proprietary ColorLast technology to ensure permanent color saturation. It is expertly hand-graded to master diamond color standards using the GIA grading scale. 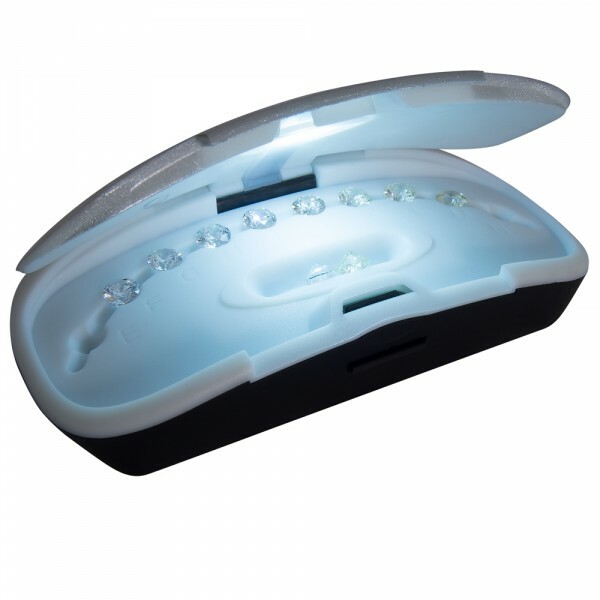 The set comes in GemOro’s PATENT PENDING LED illuminated grading and storage case, featuring daylight and UV LED€™s, powered by rechargeable NiMH batteries and a micro-USB charging/power system.